Mountain biking is not a cheap hobby in terms of gear, especially if getting high end bikes! It is not surprising that you may want to cut some corners here and there. One area that you simply cannot skimp on though is your protective gear. Your helmet is the most important piece of protective gear that you own. Maybe you’ve been biking for years and never had a serious accident. You might be tempted to skimp and stick with a cheaper helmet. And, it’s true, you might be fine. Maybe you’ll never come off your bike again. But, think about it a bit when you’re racing down a particularly challenging track. What happens if you do come off? With the kind of terrain that we are talking about, you can get pretty badly hurt, even when not travelling at a particularly high speed. It pays to pad the budget a little in this area and reduce your spend in other areas instead. Fortunately, there are a lot of good helmets that offer optimal protection without braking the bank. Giro is a company that has established a sterling reputation in this field and has a range of different products to choose from. To help you narrow down the choices, we checked all the models that they have. We then narrowed it down to our top three choices. We chose our favorites based on safety features, price and value for money. How do our top picks measure up for you? Let’s check them each out and then decide. This is the most reasonable of the picks and comes in as our choice of best value for money. Don’t be fooled by the lower price, though; this lid will make a great addition for any MTB enthusiast. Looks aren’t everything, but you don’t want to go around looking like you’re wearing a pot on your head either. This lid is streamlined and comes in six contemporary colors. You get to choose the exact look that you are going for. But what about safety? This option features the Multi-Directional Impact Protection System (MIPS). 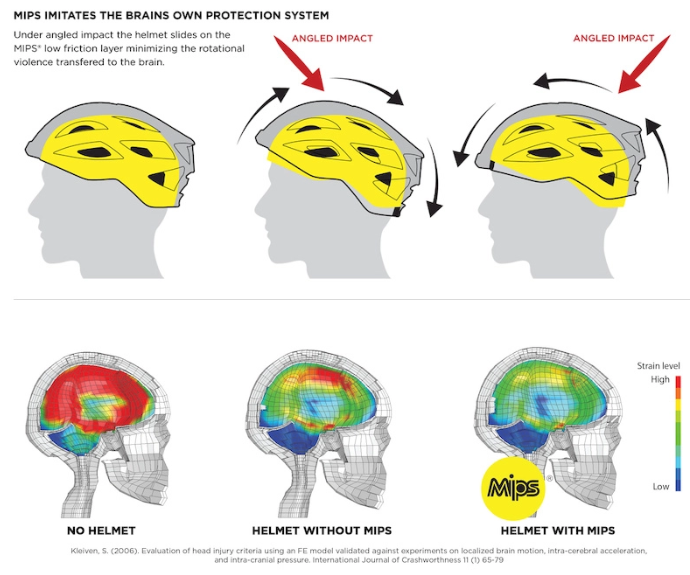 This tech helps to improve the protection of your head if you land at an angle. It could very well save your life. The fit is adjustable so that you can get the exact right fit for your head. You don’t have to worry about it squeezing your noggin too hard – Giro does place a lot of emphasis on comfort in most of their models. Most of the time, we would avoid one size fits all models, but this one really is adjustable. If a tight fit is important to you, you might want to choose something else. This one does fit snugly, but allowances must be made as it is one size fits all. We were also a little frustrated when it came to adjusting the Roc Loc fitting. Once you have it fitted, though, the sizing does stay locked in place. There are several vents at strategic locations to provide a decent amount of airflow. We would have like more of these, but the company made this specifically for trail riding. Despite there not being as many vents, the ones here are large enough to produce decent airflow. Unless you are riding through the Sahara on a boiling summer’s day, it’s not that much of an issue. One thing that is particularly useful is that you’ll be able to slip your glasses into the rear vents. The chin strap is adjustable, but the ear straps are not. This is quite useful as it can be difficult to get exactly the right fit if you need to adjust both. The visor is fixed, which is something else that we would have liked to have changed, but, that may be nitpicking. It is positioned in an optimal position to shield your eyes from the sun, without getting in the way. It even keeps some of the rain off your face. The padding might be an issue if you like a bit of a cushier feel inside. It’s not as well-padded as some of the more expensive models. If the company does have to cut costs somewhere, though, I’d rather it be in this area than a more vital safety aspect. 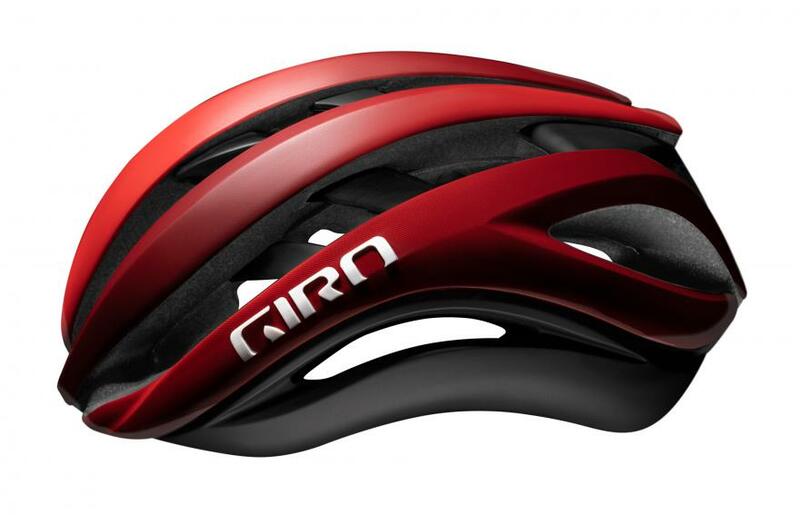 This is one of the older designs that Giro offers, and this is something of a distracting factor. That said, it has gained its own legion of fans during the few years that it has been out. This is because the price is not bad, and it is light and comfortable. The type of cycling you do is going to determine if this is the best choice for you. If you are into longer endure events, this is ideal because it is well-ventilated and extremely light-weight. It weighs just 12 ounces in total and has 21 vents to provide great airflow. If you are into more technical rides or rougher terrain, this option might not provide quite the amount of coverage that you need. It also does not feature MIPS tech, and this could prove an issue on more challenging courses. If you want a better technical option, the Fixture will serve you better. In terms of fit, this features the Roc Loc system but is not a one size fits all option. If choosing this option, you will need to pay special attention to the sizing chart. Adjusting the fit can be a little fiddly, but once it is right, you’re in for a highly comfortable ride. You can fine tune the fit so that it sits higher, or lower on the head as you like. Air flow is one thing that this helmet is especially good for. The 21 vents are placed at strategic locations and provide more than enough ventilation for you. This is a good option if you live in a warmer area or for longer runs. The visor is fixed but, like with the Fixture, it is fixed in the right position. Again, don’t expect as much padding as you might find in the more expensive models. That said, this helmet is comfortable enough even without it. It is also very easy to get your Gopro helmet camera mounted on the Giro Hex. This comes in as our top choice overall. It is also the most expensive, but the additional comfort is well worth the extra cost. Also, this model comes with a camera mount integrated into the design. You’ll feel the difference the minute you pick this up. It feels comparable to a much more expensive model. It has a high-quality finish and plush padding. The overall design offers the maximum coverage for the back of your head and the top part of your neck as well. This lid offers high performance protection And has a MIPS liner for additional protection. The padding in this model is something that really makes it special. It is very plush and highly absorbent as well. It is light-weight enough to make it good for longer runs. This, coupled with the absorbency of the lining make it a highly comfortable option for enduro runs. There are 16 vents in total, but these are larger than normal. So, while there are fewer vents than with our other models, there is still more than enough ventilation offered, and the design facilitates the flow of air out of the helmet, and this effect is reinforced by the retention system. It also features the Roc Loc system, allowing you to get the perfect fit without worrying that the settings might slip. The visor is fixed in place. The helmet will work extremely well in conjunction with Giro eyewear and will keep the eyewear securely gripped. If you are a videographer, you’ll like the fitting for the action camera that has been built in. If we had to find a downside, it would be in the price. While we do believe that it is worth it for what you are getting, it is still higher than the other options. 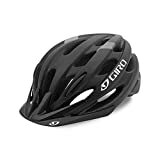 Overall, Giro offers helmets that do a great job of protecting you at a reasonable rate. Our award for the best of the lot would be the Montaro. It is priced more expensively but offers the best overall protection and comfort of the lot. The Hex is a tried and trusted model that has a lot of fans. If you like longer runs, this is the most comfortable out of the lot over extended distances. It is not the best option when it comes to coverage, though, so if you prefer more challenging routes, this is not the best bet and doesn’t have MIPS. Finally, our best value for money is the Fixture. It offers a great blend of features at a great price. You would battle to find a better deal. This option is a good overall choice when it comes to protection. The ventilation could be better, so this is not a good option in a hotter environment. 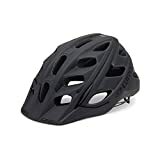 You may also like our reviews of the best Bell Helmets and Fox Helmets for mountain bike riders.